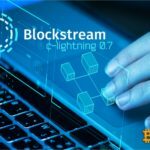 Over the past seven days, the volume of funds transferred via the Lightning Network (LN) has increased about three times. 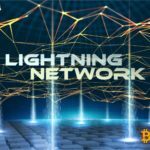 The average amount of funds per lightning network node has also grown. Currently this figure is $ 1080. For comparison, as of November 15, the figure was $ 428. Over the past 30 days, the volume of funds transferred via LN channels has grown by 298.86%. In total, 4039 Lightning-nods are currently operating, transmitting funds through 12.5 thousand payment channels. The current average channel capacity is 0.036 BTC (a little more than a week ago this indicator was 0.014 BTC). Earlier, Bitrefill CEO Sergei Kotlyar expressed the opinion that the Lightning Network could help the Bitcoin network to grow "10 or even 100 times." However, he believes, LN is not a definitive solution to the problem of Bitcoin scaling. 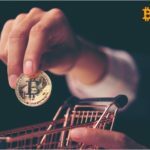 Also the head of Bitrefill is sure that growth of the price of bitcoin can intensify considerably developments of LN solutions and, respectively, development of this network of the second level. 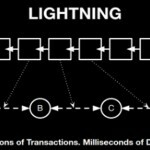 However, judging by the above statistics, the rapid growth of activity of the Lightning Network occurs even despite a noticeable drop in the price of the first cryptocurrency. Thus, it is possible that with the return of the bull market, the development of the LN network can be significantly intensified. Recall that in October, the release of sidechain Bitcoin Liquid from Blockstream took place. This solution is intended for servicing Bitcoin exchanges, processing services and traders. Liquid allows you to reduce the time required to carry out large volumes of transactions between different accounts. © 2018 bit.news | queries 218, for 0.492 sec.